2014年香港上海汇丰银行伍佰圆。序列号6，原纸，轻微流通。PMG About Uncirculated 53 EPQ.HONG KONG. Hong Kong & Shanghai Banking Corporation. 500 Dollars, 2014. P-215d. Serial Number 6. PMG About Uncirculated 53 EPQ. 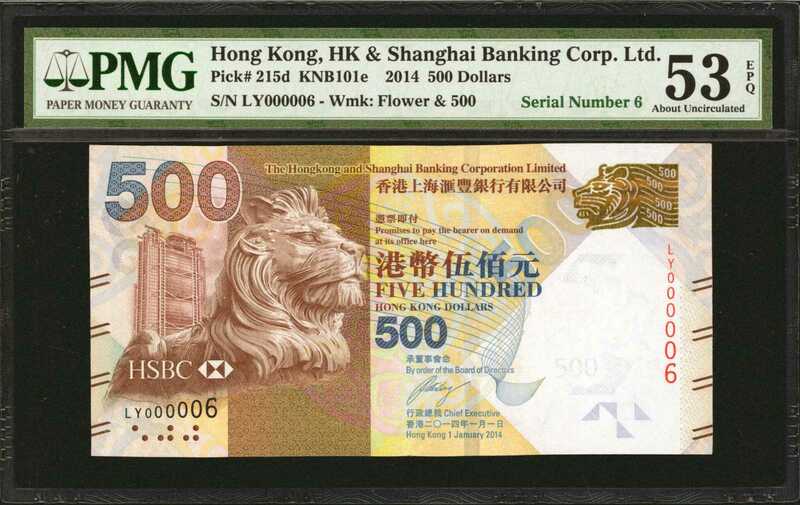 (KNB101e) A low serial number 6 in this original but lightly circulated note.